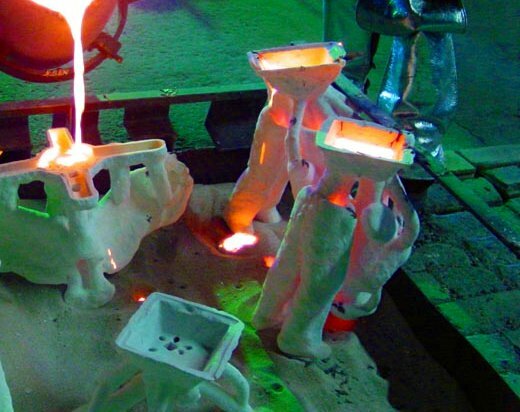 This course stands independently as an introduction to the craft of Lost wax casting using the Shell investment technique. Previous knowledge and experience of casting is useful but not essential to enrol on this course. Handouts covering course content will be provided and students will also be able to purchase moulding itemsfrom our foundry store. If you require any products please let us know in advance so that we can ensure that they are ready for collection. You will need to be appropriately dressed for a workshop environment. Natural fabric is best. You should wear tough leather shoes or boots preferably with steel toe caps. Feel free to bring note book, pencil, camera if you wish to document the day’s activities. A memory stick is useful to make copies of some larger documents. N.B. We will not be able to cast these components on the day.